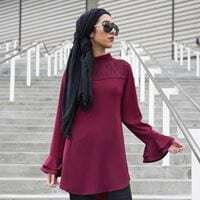 Long-sleeved ruffled shirts, wide-leg jumpsuits and an assortment of hijabs — all creations of Orlando resident Lisa Vogl — now are featured at Macy’s as part of the company’s first modest clothing line for women. To shoppers, they’re just clothes, but to Vogl they’re solutions. Vogl, 35, is a practicing Muslim who chooses to dress conservatively as part of her faith. She said she often had to visit different stores in hopes of finding the right styles to layer to suit the modest tastes she preferred. 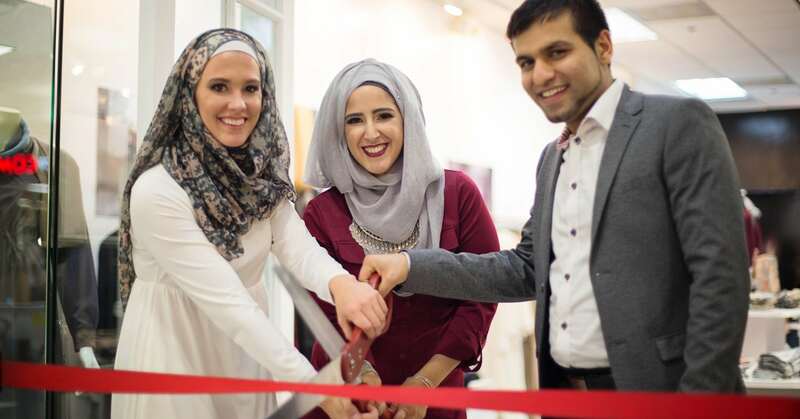 Rather than wait around for someone to fulfill her clothing needs, Vogl, along with Verona Collection co-founder Alaa Ammuss, launched the clothing line in 2015 at an Orlando boutique. “There are millions of Muslim women here in the U.S., and there’s a lack of clothing that would work to meet our religious requirements as well as be fashionable and affordable at the same time,” she said. The clothes appeal to any woman seeking modest attire. While the feedback at Macy’s has been largely positive, not everyone gave the product line a warm reception. Some took to social media to vent their frustrations. Vogl countered that wearing the Muslim head covering was a matter of choice and said that people often misunderstand the reasoning behind it. Islam itself also is widely misunderstood. Vogl’s venture with Macy’s began after she attended a women- and minority-focused business-development workshop the company held in New York in 2017. After seeing that there was a viable market for women’s modest clothing, Macy’s offered a deal. While launching any business poses risk, the venture is Vogl’s second. She’s also been a nationally ranked college softball player, an English teacher and a photographer, a skill she studied at Daytona State College. Daytona State College School of Photography chairman Dan Biferie said Vogl’s unwavering determination and “grit” set her apart from other students. Vogl left DSC one class shy of graduation to start her own photography business. Despite her string of recent successes, Vogl said she has no plans to rest on her laurels. “Honestly, in the fashion industry I don’t think there’s ever a definition of ‘made it,’” she said. “You always have to keep working. You always have to keep improving yourself. You always have to keep pushing it.